The Girly Geeks were founded in 2010 by of Geraldine Gray, Principal at Endiem and Salesforce MVP, when she recognized that women attending Dreamforce needed a way to connect with other female attendees. The first year was just twenty or so people and a few glasses of wine but it provided a real and virtual venue for ladies to connect before, during and after the cloud technology event of the year. It is true that there were (and still are) many conversations about comfy shoes and party outfits. But, the group has done much more: being a place to find career advice, job opportunities, support, and friendship throughout the year. 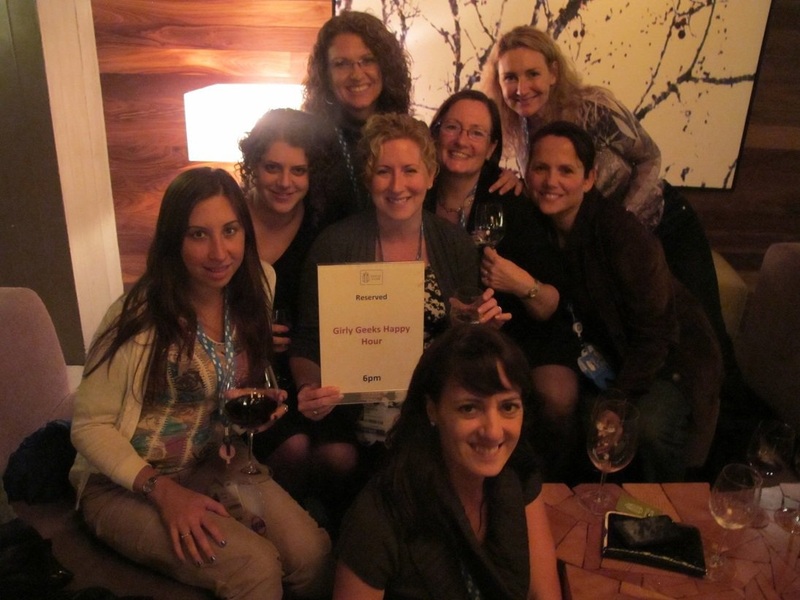 Fast forward to 2013 and Dreamforce Girly Geeks is a force to be reckoned with; their input is frequently sought by Salesforce product managers and User Experience teams, amazing job vacancies are posted, and they are invited to the most exclusive Dreamforce parties and networking events. When I started the Girly Geeks Happy Hour Chatter group four years ago it was on the idea if you build, they will come BUT you have to be brave enough to build it in the first place. 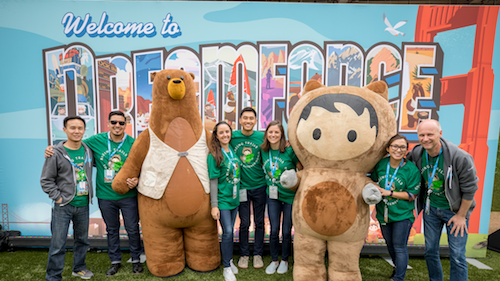 As a regular Dreamforce attendee I found that the experience was enhanced tenfold when I had a Salesforce “tribe” and realized that other women needed a way to connect with each other in advance of the event - we needed our own community of sorts. Leading the group has led me to places beyond my dreams or ambitions. Last year, at the salesforce.com-hosted Women in Tech event, I stood on the stage with the President of salesforce.com and the CFO of Square. Wow! And now here I am running Endiem, my own consulting firm based in Houston building apps and integration solutions and even implementing Salesforce for salesforce.com. I may have started the Girly Geeks but these women have inspired me, led me, advised me, even helped me chose the color on my business cards and they have given me the confidence to be brave and build my dreams in real life. Being a young female in technology it was challenging to be ‘taken seriously’ by my more experienced counterparts. 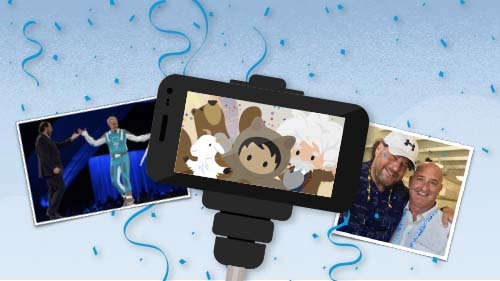 Dreamforce allowed me a venue to learn about the latest technology trends and develop connections to help bring my credibility to a new level. 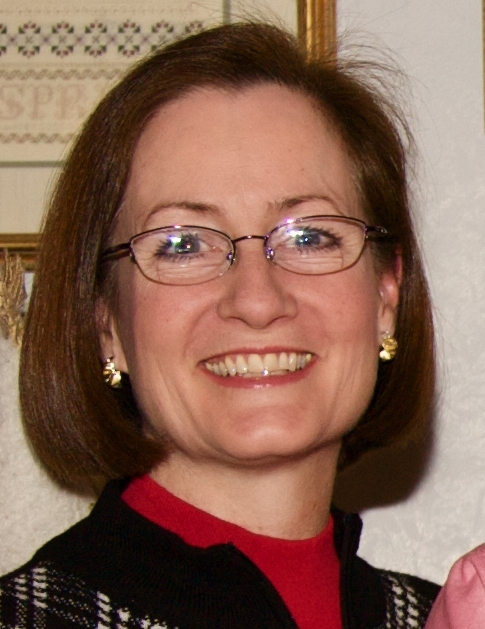 There was a delicate balance that I was able to establish with the right information, a good pair of heels, and an army of new connections that were experts in their field of play. I no longer had to be the person who had all the answers; I had an extended network of answers at my fingertips. As a woman coming to technology later in my career (starting in my 50’s), Dreamforce opened my eyes and mind to an endless array of possibilities. I have attended since 2005 and each time, my focus was on learning a new core strength. They say that you need to exercise your body AND your brain - particularly as you age. I grew up a competitive swimmer and there is still a competitive streak in me - I want to keep getting better. At Dreamforce, I keep learning new skills, solving new problems and exploring different approaches to challenges. I come away energized by the plethora of ideas, excited about the new features of the platform, stimulated by the new friends I meet and grateful to be able to share my own perspective and ideas. It is an open and welcoming tribe - no one cares how old I am, what my gender is, what the color of my skin is or my nationality - they see me like them - someone eager to learn, to help each other if we can by sharing what we know. My husband says he wants to work until he is 70 and I told him that I did too - as long as there is someone who wants me to do this kind of work (either as a volunteer helping non-profits or for monetary compensation), why wouldn’t I? And then I get to still come to Dreamforce!! When I first found out I was going to Dreamforce in 2010, I was excited, nervous, and scared… especially when I was going alone, was very shy, and heard there were going to be over 45k people in attendance! I was still mourning the loss of my father who passed a few months earlier so the trip was a welcome distraction. I met a few people through the Dreamforce app, found out about the Girly Geeks Happy Hour, and so my adventure began. By Dreamforce '11, I made a bucket list. At the top of that list was becoming a Salesforce MVP by Dreamforce '13. I worked hard, got my certification, and made lots of connections with our amazing community members. In March '13 I accepted a new job after 16+ years with my previous employer. It was bittersweet, as my dad had worked there for almost 25 years before he passed, but I knew it was time to leave the nest. Less than 2 weeks into my new job, I got the most awesome email ever. I made Salesforce MVP! Dreamforce turned my dream into a reality by helping me break free from my shell! 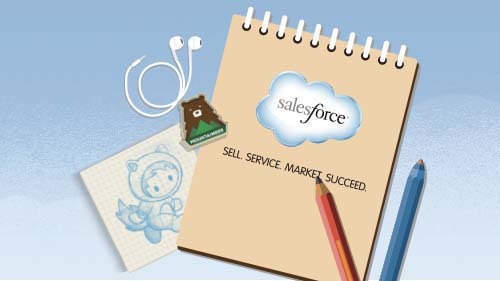 To see the complete schedule and register for the event go to www.dreamforce.com or click the button below.